A few years ago, online marketeers thought they had online measurement all figured out. Cookies and more powerful analytical tools were helping to produce very accurate reporting of the impacts of online spend in different channels. Measuring conversions and performance is key when it comes to deciding where to allocate your budget. It is important to understand the two main trends which make tracking with cookies increasingly problematic: People have many more devices and they are a lot more concerned about privacy. Previously, an individual would normally have access to a maximum of 2 connected devices: home and work. Today, the average has more than doubled as people have smartphones, tablets and Internet-enabled TVs and games consoles. 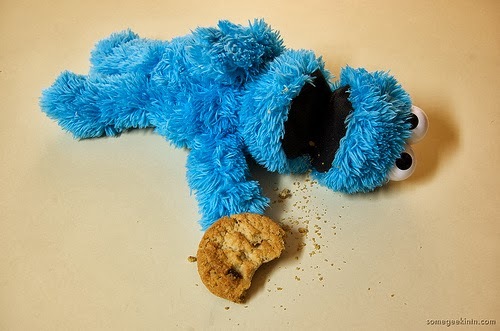 Cookies are device-specific, so this provides many more opportunities for tracking ‘leakage’. The misguided ‘Cookie directive’ in the European Union means people are getting warnings about cookies in their browser every day (even if they have very little idea about what they are, do or how they can be abused). The Snowden leaks of information about governmental spying have made us all a lot more concerned about the privacy of our data and our activities online. This means people that previously preferred to just eat their cookies are now worrying about what they are and what others are saying about them… This means an increasing number of users are deleting cookies, installing browser plugins to shred them or are enabling blocking. All of this makes advertising effectiveness much harder to track. Model: If you have properly configured campaigns where you can track a proportion of your audience, it is possible to build models which can estimate and attribute effectiveness. This type of modelling is hard to get right and sometimes harder to use properly when its purpose is for decision-making. Unfortunately, there is no other choice if you want to optimise budget allocation across different media. Engage: Try to engage earlier with the customer and get them identified as soon as possible. Get creative with offers, competitions, interaction with apps and social media - they can all offer potential touch points to get a unique identifier for an individual.